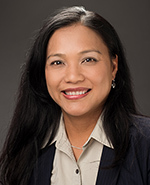 Dr. Thu Quach has been working in public health and health care for over two decades, and currently serves as the Chief Deputy of Administration at Asian Health Services. Her research, service and advocacy work have been grounded in her own lived experience as a refugee from Vietnam, and the struggles her family faced in the health care system. 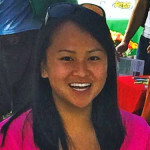 Dr. Quach received her PhD in Epidemiology from UC Berkeley, her MPH from UCLA, and a Bachelor of Art from UC Berkeley. Trained as an epidemiologist, she has conducted community-based research, focusing on Asian Americans and immigrant populations, including examining occupational exposures and health impacts among Vietnamese nail salon workers. She has also worked on community services and advocacy, engaging patients and community members on health and social justice issues. Since 2017, Dr. Quach has been mobilizing around the issue of public charge, and the impact it would have on community health centers and their patients. Dr. Thu’s passion for health and social justice is what makes her a CHC Champion! For the last several years Dr. Richard Andrews has served as the Director of Viral Hepatitis of HOPE Clinic, previously serving as the health center’s Chief Medical Officer until 2016. He is also a co-chair of the National Taskforce on Hepatitis B focused on Asian Americans and Pacific Islanders (AAPIs), where he has been instrumental in developing a curriculum for teaching a team-based approach to manage chronic hepatitis B and hepatitis C in primary care settings. In this role, he travels with other Taskforce members to various sites around the country to deliver the training. Dr. Andrews studied geography at Indiana University, spent some time in the U.S. Navy before going to the University of Connecticut School of Medicine and then to Georgetown University to study family medicine, and completed his MPH and preventive medicine residency at Johns Hopkins University. His other interests include addiction and drug policy, and finding ways to make EMRs/IT more user-friendly for delivering primary care including in management of viral hepatitis. Dr. Andrews impactful work to address viral hepatitis among AAPIs and other disproportionately affected communities makes him a CHC Champion! 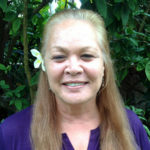 Dr. Mary Frances Oneha has worked in community health centers for 25 years and has served as the Chief Executive Officer of the Waimānalo Health Center since March 2012. 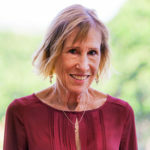 She received her PhD in Nursing from the University of Colorado Health Sciences Center, a Master of Nursing from the University of Washington, and a Bachelor of Science from the University of Hawaii. As a community-based researcher, Dr. Oneha’s commitment has been to improve the health of Native Hawaiians. Her collaborative research and publication efforts with other community-minded researchers has aligned with this commitment. 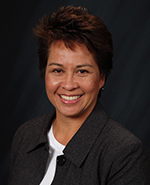 She serves on the Boards of AAPCHO, AlohaCare, and is the immediate past Board Chair of the Hawai`i Primary Care Association. Dr. Oneha’s dedication to community-based research and improving the health and of Native Hawaiians is what makes her a CHC Champion! When Diem started at NOELA Community Health Center (NOELA), she came on as an Outreach Worker and helped enroll community members with coverage under the Affordable Care Act. As her role started to evolve and expand to include Care Coordination and Community Health Worker, she took on more responsibilities and embraced all of them. She responded to her new roles and responsibilities with eagerness and willingness. Diem goes out of her way to not only assist NOELA’s Vietnamese speaking communities, but also its Spanish and English speaking ones a well. As a part of the health center’s care coordination team with the providers and other clinical staff, she ensures that patients receive the necessary referrals and social services needed to provide all patients with a true Patient-Centered Medical Home. Diem was also a part of NOELA’s hepatitis B program and currently doing ACA enrollment, referrals and care coordination with the health center’s colonoscopy program. Diem’s enthusiasm and commitment to ensuring that all the patients receive the culturally and linguistically responsive care they need, is what makes her a CHC Champion! Since joining Waikiki Health as its CEO in 2008, Sheila Beckham has provided highly innovative and effective leadership of the health center. Sheila’s vision and guidance have continually advanced Waikiki Health’s growth, level of care and community impact. During her tenure, the health center has more than tripled its budget, introduced new programs and expanded service sites. These expanded services include providing increased access and care to those who are homeless, low income, uninsured and otherwise underserved. Over the same period, Waikiki Health has more than doubled patient visits and also doubled the number of patients served to 11,054 in 2016. Additionally, under Sheila’s leadership, three of Waikiki Health’s primary care clinics earned recognition from the National Committee for Quality Assurance as a Patient-Centered Medical Home Level 3—the highest level for this recognition! With over 30 years of experience in health care, including over 20 years specifically working in leadership capacities in community health, Sheila exemplifies a true CHC Champion! 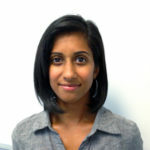 Karuna Ramachandran serves as Health Programs Director at Center for Pan Asian Community Services, Inc. (CPACS). She works with CPACS’ talented staff to provide access to breast screening and treatment, hepatitis b screening and linkage to care and vaccination, patient navigation services at CPACS Cosmo Health Center, substance abuse prevention and ACA enrollment. Karuna’s passion to leverage resources and partnerships to create access to high quality health care, is what makes her a CHC Champion! Yijian Wang, a nurse manager at Asian Americans for Community Involvement (AACI), demonstrated his commitment to patient voice and civic engagement with a transformative Plan Do Study Act quality improvement program this spring. Noticing long patient wait times, Yi analyzed wait time data and spoke with patients, front desk staff and medical assistants. He learned that AACI scheduled patients back to back for an entire session. If the first patient was late, their late arrival would domino down the clinic session so that the last patient had to wait even longer for their appointment. To address this, Yi installed circuit breakers every hour, providing open slots for providers to catch up or finish their charting. Then he tried it out with one provider at a time until all of AACI’s providers tried the improvement. After asking patients, front desk staff and medical assistants how they liked this change and after looking at wait times, AACI adopted this process. Patients, providers and staff love it. As a result, AACI cut its wait times to under 12 minutes. In engaging patients and staff, Yi is a CHC Champion! 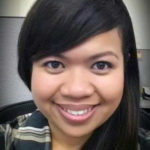 Hoang Truong is a Community Outreach Liaison with Project AMPLIFY at Asian Americans for Community Involvement (AACI). Project AMPLIFY (Arts & Media Promoting Leadership Initiatives for Youth) is a substance-free alternative activities prevention program that utilizes media production, story boarding, scriptwriting, drama/acting workshops, graphic design training for inner city Asian American and Pacific Islander youth, ages 11 and up. As a key AMPLIFY staff, Hoang is well-loved by program participants and their families, with his enthusiasm and positive energy resonating with everyone. In addition to working directly with our youth, Hoang has also built key relationships with various community groups and entities to promote AACI’s services in East San Jose, CA. 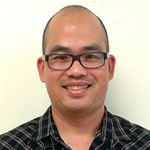 Prior to his current role, Hoang was a Patient Navigator with AACI’s Health Center. He was excellent at building rapport with patients, and supporting them while they learned to self-navigate the health care system. As this job can be challenging, Hoang always managed to keep a smile on his face and go above and beyond to make sure that AACI patients felt welcome in our health center. With the different positions that he has filled within AACI, co-workers have commended Hoang on his consistent positive attitude at work, and how he always goes out of his way to help others, selflessly serves the community and has a positive intent towards everyone he works with. Hoang once shared with a peer that he felt “grateful every single day, waking up and realizing how lucky [he] is to be a community servant.” AACI is very fortunate to have Hoang as part of our family and as a CHC Champion! 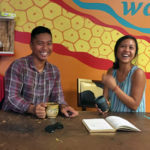 As Kokua Kalihi Valley Comprehensive Family Services’ (KKV) Community Education and Civic Engagement (CECE) Manager and Liaison, Jeffrey Acido, Ph.D and Ashley Galacgac, respectively, spearhead the newest department within the health center. Already implementing some of the most innovative community health approaches in the organization, their primary program areas have centered on voter engagement, men’s health and the impact of transit-oriented development at the community level. In their work in KKV’s CECE department, Jeffrey and Ashley address some of the most pervasive issues facing the working class community through education and transformative leadership development. Their work rethinks Western service delivery models that rely on the identification of needs and deficiencies in order to provide care. Instead, they work to promote service that is prefaced by an acknowledgment of the stories and wisdoms an individual already possesses in order to inform his/her development as an impassioned leader. The nature of their work has taken Jeffrey and Ashley down a diverse range of seemingly dissimilar program areas, but ultimately all contribute to how KKV approaches community health. As KKV’s CHC Champions, Jeffrey and Ashley are at the forefront of community engagement, engaging the unengaged and challenging colonial ideologies with social biography and ancestral pedagogies! As the Chief Medical Officer at Asian Human Services Family Health Center, Inc. (AHSFHC), Dr. Ayesha Hussain is board-certified in Family Medicine and has a Master’s degree in Public Health. After finishing her residency from Cook County-Loyola-Provident Family Medicine Program in 2007, Dr. Hussain decided to start her career in the non-profit sector to stay engaged with the Asian community. She has refused several offers from the for-profit sector and has since been affiliated with AHSFHC. Dr. Hussain has devoted precious years of her life and career to improve access to care for the underserved Asian American population in the Chicago area and is a CHC Champion! As Waimānalo Health Center’s (WHC) Community Outreach & Education Worker, one of Louana Kassebeer’s main roles is to administer the health center’s Breast & Cervical Cancer Control Program where she educates countless men and women about breast and cervical cancer detection and prevention. Aunty Louana is a wonderful representative of the hard-working, patient-centered care providers at health centers nationwide—a true CHC Champion! Ronnie Mouth is a community health worker at Lowell Community Health Center (LCHC). Ronnie works tirelessly to help patients register to vote—and if they are already registered, she encourages them to sign up and pledge to vote in upcoming elections. With Sidney Liang, MA in Motion director at LCHC, Ronnie has helped the health center register 919 new voters and collect 1,485 voting pledges to date. Because Ronnie is regularly stationed in the health center’s main and Metta Health Center lobbies, LCHC’s patients have developed a sense of familiarity and trust with her. Patients also know Ronnie from the Lowell Community Television’s weekly Khmer-language television broadcast where she talks about the importance of voting and other issues impacting the community. Additionally, Ronnie also works to educate the LCHC’s immigrant population about the U.S. voting system, ensuring that they’re aware about the importance of voting in all elections. Ronnie’s ongoing commitment and hard work to ensure LCHC patients and community members voice their vote, is what makes her a CHC Champion! As the Front Desk Manager at Asian Americans for Community Involvement (AACI) in San Jose, CA, Becky Guancia puts patient satisfaction first and inspires excellence among staff. AACI expanded its health center after receiving a HRSA New Access Point award in 2014. As part of the expansion, the health center integrated its front desk and started a call center. Becky led this effort and ensured that the integrated front desk or “face of the health center,” consisting of a team of patient navigators, receptionist and call center staff, provided all patients and other visitors, concierge-level service and delivered a safety net clinic waiting room experience equal to, or better than, a private practice experience. Becky continues to lead by example through mentorship, cross training, coordinating quality improvement efforts and by increasing communication between clinical and non-clinical staff. Under Becky’s leadership, three new patient navigators have been promoted and 93 percent of patients surveyed in June 2015 have said they benefit from AACI’s services. With a diverse, fast-growing population and continued expansion, AACI is fortunate to have Becky leading the charge as a CHC Champion! 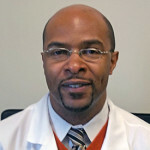 Dr. Keith Winfrey has been the Chief Medical Officer at NOELA Community Health Center (CHC) in New Orleans, LA since 2011. Considered as one of NOELA CHC’s founding fathers, Dr. Winfrey has been key in ensuring that the diverse population of New Orleans East has access to quality and culturally competent care since the health center was established after Hurricane Katrina. 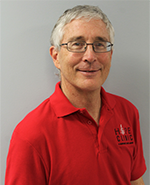 With his clinical leadership, NOELA CHC achieved NCQA recognition status for Patient Centered Medical Home Level III in January 2013 and full FQHC status in November 2013. Dr. Winfrey wears many hats at NOELA CHC. In addition to serving as the Chief Medical Officer, he contributes in other roles ranging from program director and grant writer, to outreach coordinator and even plumber. Staff and patients see him as down to earth and extremely humble, adding that they “love him as a person and clinician”. A strong advocate and member of the community, Dr. Winfrey sees the center as an avenue for him to provide care to a community that would otherwise not have health care. Dr. Winfrey’s continued service and dedication makes him a CHC Champion! 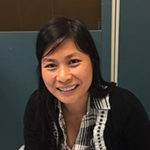 As a community mobilizer at International Community Health Services (ICHS), Khanh Ho works with many diverse communities to raise awareness about health disparities, provide health care access education, enroll people into affordable health care, and lead civic engagement efforts. Khanh’s work also involves addressing social determinants of health. For example, Khanh participates in a project to engage Vietnamese community members in conversations about the safety of fishing in the Duwamish River, educating the community about the health risks of over eating fish that have been contaminated with metals due to previous poor management of industrial wastes. Khanh has also been instrumental in developing digital stories that capture community members’ perspectives on healthy eating and active living topics such as: access to fresh food; access to health insurance and care; and availability of parks and green spaces. Khanh’s warmth and engaging spirit captures what a community health center is all about and that resonates with patients, the community and her fellow staff. Khanh is truly a CHC Champion! 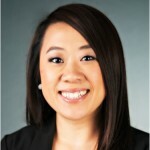 As an integral member of Asian Services In Action, Inc.’s (ASIA) Community Health Promotion Department, Cathy Vue spearheads key public health initiatives in Ohio impacting Asian Americans and Pacific Islanders (AAPIs). Cathy oversees ASIA’s statewide Affordable Care Act outreach and enrollment efforts. Her work is particularly important for the 16,000 uninsured AAPIs in Ohio who are eligible for coverage through the state’s health insurance exchange. She also oversees ASIA’s Reaching Asian-Americans through Innovative and Supportive Engagement (RAISE) project, which is a community health promotion program that facilitates regular access to healthy food options, nutrition education, and environments that promote physical activity for about 5,000 AAPIs. Cathy and her family are Hmong and were resettled in the U.S. from Laos. Her fluency in Hmong and experience as an immigrant has helped shape her approach to public health advocacy. “[My] goal and motivation […] is to improve the human condition through disease prevention and promotion of healthy outcomes resulting from informed choices and community services,” she says. Cathy’s advocacy and leadership makes her a CHC Champion! 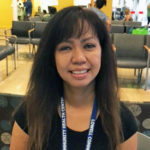 Michele “Chrissy” Kuahine directs Waianae Coast Comprehensive Health Center’s (WCCHC) Electronic Health Records (EHR) department. 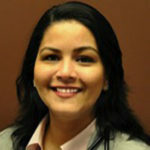 She assists clinics with their EHR needs and serves as a resource in information technology strategy. 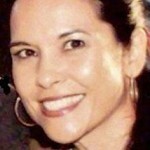 Born and raised in Waianae, Chrissy has been with WCCHC since 1990. She started as a volunteer, was hired as a medical receptionist, and worked as a registered Medical Assistant for 13 years. In 2002, WCCHC became the first health center in Hawaii to implement Electronic Medical Records, and Chrissy became the health center’s first EHR support staff. At the time, she was the only NextGen Certified Professional for the vendor’s EMR software in the state, and the only person outside of the company to become certified. Chrissy has provided technical assistance and mentoring to numerous health centers, and has developed a EHR training curriculum. Chrissy helps to serve the needs of not only WCCHC’s patients but also the wider Waianae community and beyond! 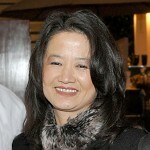 Terri Cheng is Asian Americans for Community Involvement’s (AACI) first patient navigator. Since starting as a patient navigator in September 2013, Terri has provided navigation services to over 500 AACI patients. By June 2014, Terri’s total encounters (actual physical interaction with patients) reached over 3,000, demonstrating that many patients utilize navigation services multiple times. 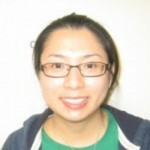 Speaking both Mandarin and Cantonese, Terri greets patients in AACI’s clinic waiting room. “As a Patient Navigator, I enjoy my job day after day because I can help people. I am happy to know that I can make someone’s life easier,” Terri explains. For AACI, patient navigation represents a model of care that puts the patients’ needs and comfort first. The clinic recognizes that having a friendly and skilled person like Terri to guide individuals through the complex hospital system gives its patients confidence in their ability to access culturally competent care. Because of Terri, ACCI patients are getting the care they need! Christina Ng has been an integral part of the North East Medical Services (NEMS) team since 1983, currently overseeing the Member Services Department, which is charged with assisting patients in their eligibility determination and enrollment into various health programs. Through Christina’s leadership, NEMS has consistently achieved top enrollment marks in programs including the State Children’s Health Insurance Program (S-CHIP) Program, and most recently the expanded Medi-Cal and Covered California (the state’s health insurance exchange) programs. Under Christina’s guidance, NEMS became California’s second highest enroller for the expanded Medi-Cal program and the fourth highest in the Covered California program, helping to ensure that more than 14,000 patients have the coverage and care they need. Christina’s approach to patient eligibility and enrollment programs has always focused on excellent customer service and in serving the best interests of NEMS’ low-income, limited English proficient and medically underserved patients. Through Christina’s efforts and dedication, NEMS has successfully ensured that tens of thousands of individuals now have access to health care. Andrew Ma, CID, is the Associate Director of Services at the Asian Pacific Health Care Venture, Inc. (APHCV). He first started with APHCV working on HIV/AIDS programs, implementing HIV testing activities and coordinating a teen program to raise awareness about HIV/AIDS through theatre productions. Andrew also served on the Los Angeles County Commission on HIV, working to address HIV/AIDS at the local level, and was a partner in AAPCHO’s national Capacity-Building in HIV/AIDS for Medical Providers (CHAMPs) project in which he played a key role in creating guidelines for successful HIV/AIDS programs at CHCs serving Asian Americans, Native Hawaiian and other Paciﬁc Islanders. Currently, Andrew oversees APHCV’s disaster preparedness program and capital projects. In collaboration with AAPCHO and the Los Angeles Community Clinic Association, he develops, presents and promotes efforts to build the capacity of CHCs for disaster preparedness. With his combined background in political science and interior design, Andrew champions well designed programs, services and environments that are accessible to all! Sonith Peou has always been a strong voice for the health and wellness of the Asian American community, and is currently the director of the Lowell Community Health Center (LCHC) Metta Health Center. Sonith came to the U.S. as a refugee from Cambodia and first resettled in North Dakota where he rode his bicycle in the snow to work at a bakery and a hospital, all while volunteering to help other refugees. He has since continued to work within the refugee community, implementing leadership development programs and conducting substance abuse prevention and mental health treatment activities. Under Sonith’s leadership, the LCHC Metta Health Center has received awards from Premier Cares and the Massachusetts Asian American Commission. He has also been recognized by the Robert Wood Johnson Foundation as a Community Health Leader and featured in the Lowell Sun as one of the city’s most outstanding community members. Sonith’s commitment to helping others; his innate, community organizing and management abilities; and his deep compassion for others have made life-changing differences for patients, staff, and the whole Asian American community in Lowell and beyond! Dr. Muhammad Paracha has been with the Asian Human Services (AHS) Family Health Center since it consisted only of two small rooms and one volunteer physician. With dedication and hard work, supported by a dry sense of humor, Dr. Paracha has led the amazing growth of the AHS Family Health Center and today—it is a Federally Qualified Health Center serving 7,000 patients each year, with an expansion facility opening soon. 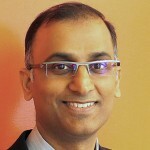 A strong advocate for culturally and linguistically competent health care, Dr. Paracha has brought many services to the AHS Family Health Center including complete oral health services, on-site WIC services, on-site breast and cervical cancer screenings, and outreach services to enroll eligible community members in Illinois All Kids, Medicaid and the new County Care health exchange. He is a true champion of CHCs and the communities they serve! 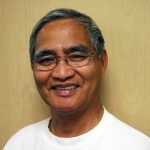 Ernesto “Ernie” Orduna is a long-time patient and board member of Asian Americans for Community Involvement (AACI). A Filipino immigrant who first came to AACI 10 years ago, Ernie volunteers to meet with state policymakers, educating them about the benefits and needs of CHCs. He is a regular visitor to the State Capitol and attends in-district events hosted by state legislators, sharing his personal experiences with the health care system. Ernie is a passionate spokesperson about the importance of access to health care for all members of the community, and is an extremely effective advocate for all CHCs!